Here we go with a very rare condo being put on the SF real estate market in the desirable, name-amalgamated area of the Tendernob. What is the Tendernob? Well, the area of San Francisco between Nob Hill to the north and the Tenderloin to the south. Hey. Makes sense. And it is a fine, fine area to live in the city. And now, a condo’s just come up for sale in one of the finer buildings along Sutter Street in the Tendernob, as sf.curbed.com reports. The Bavaria building, a classic, red-brick Beaux-Arts architecture from Frederic Herman Meyer, sits at 795 Sutter Street. 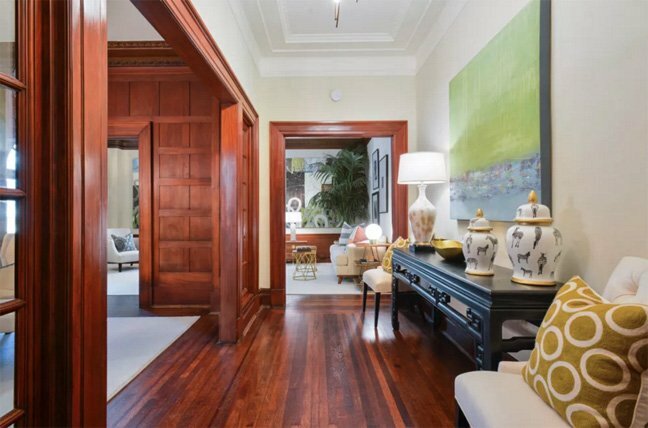 And one of its corner unit condos has now elbowed its way onto the SF market, taking a pretty prominent place among residences asking for over a $1 million. The condo’s full price is $1,295,000, which is not too bad considering what you’re getting, and the location. The unit spreads across 1,784 square feet of opulence spilling into three beds and two baths. The interior amenities include arched windows, wood accents, glass pocket doors, modernized kitchen and baths.